Last year Nintendo released a console. My initial thoughts were… I wouldn’t buy this. I know that a raspberry Pi running emulation would mean I wouldn’t need to find the originals in the attic for some time. Then at Em-Con I saw one, and played on it. Then I got it. It’s not about the emulation of the games. 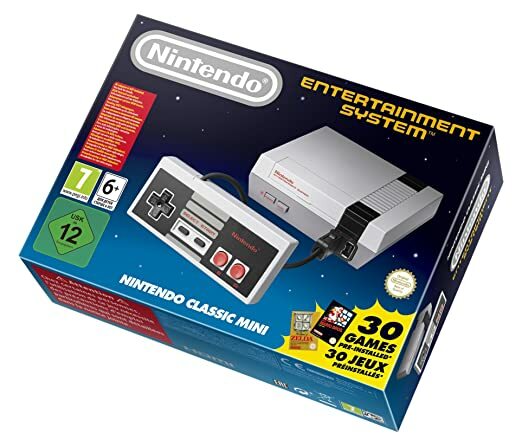 This console looks and feels almost identical to playing the original NES (perhaps the controller was slightly different or perhaps it was just because I’ve never felt a new NES controller). Now I can’t speak for all the games but I3T and I played Pac Man, he was terrible at it. But the game itself ran very smoothly. We also saw Super Mario Bros working and I have to say it looked identical to the NES cartridge original game. At Yorkshire Cosplay Con I saw the Atari Flashback. 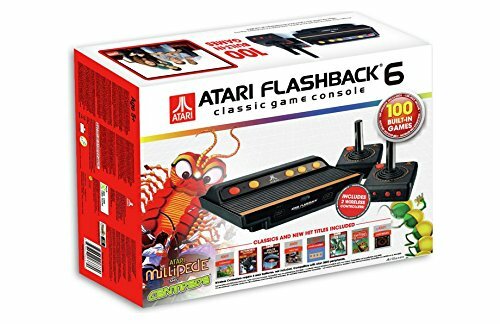 Again a licensed product offering Atari games on their own small console. 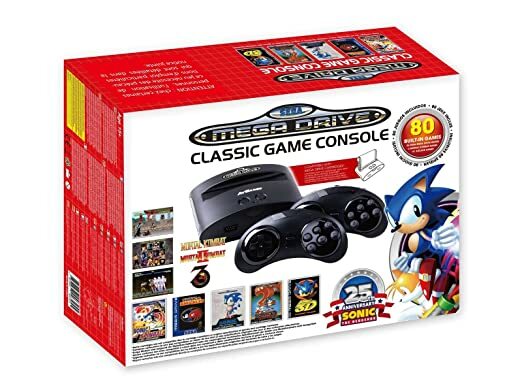 Looking on Amazon today the Sega licensed Mega Drive consoles (which have been around for a while) have seen a substantial price increase too. If you are careful which Mega Drive you select you also get the option to play your original games too! This is something I wish Nintendo had included but I guess would have destroyed the portability of their system. The NES cartridges were always pretty big. But it is such a nice box! It looks like it’s going nowhere. The SNES Mini has just been announced. These mini consoles are hopefully introducing a whole new generation to titles like Mario World, Pac Man, Frogger, Sonic. That can only ever be a good thing!